The stainless steel case has a 43mm diameter and a sapphire crystal with AR coating on both sides. WR rating is listed as 100M. The watch is powered by the ETA based Hamilton Caliber H-21. 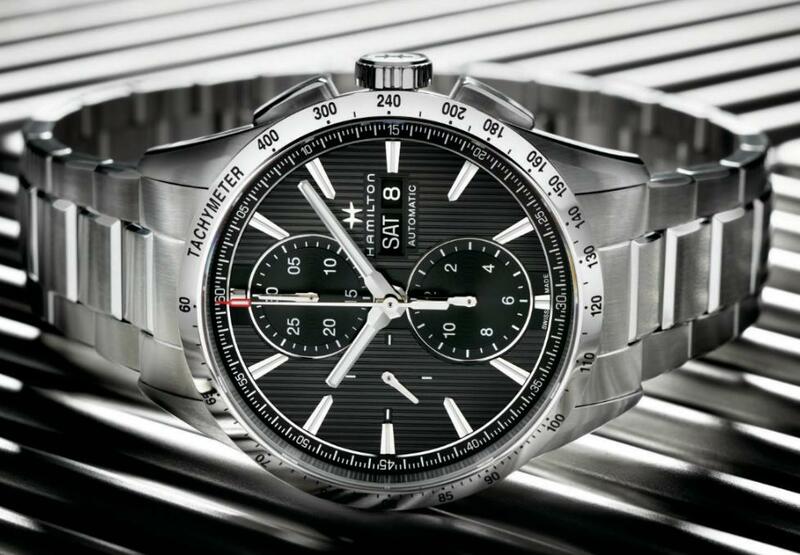 Automatic chronograph movement features day/date displays and offers 60h power reserve when fully wound. The vertical lines add a nice touch to the dial. 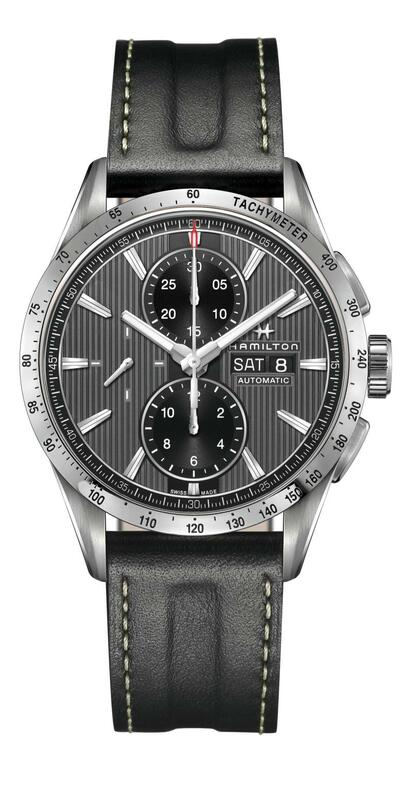 Hamilton Broadway Chronograph is offered with a black leather strap or a stainless steel bracelet.